The Cornilleau 510 Pro Static is by far the most popular outdoor static table. It is competitively priced, completely weatherproof and boasts an impressive 10 year table guarantee. It has a strong galvanised steel frame and a very robust steel net. This model is extremely popular with schools, colleges and holiday parks. 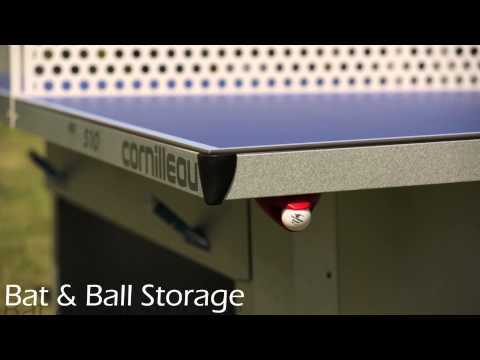 Please call us if you require further information or advice on this or any other table tennis table. UK mainland delivery is free* and usually within 2 - 5 working days (charges apply for offshore and some very remote locations). We offer a pre-booked, two-man delivery service. You should receive a text the working-day before your delivery day with an estimated two-hour window. On the day of delivery you should also be able to track the progress of the delivery driver online. Please call 01371 875000 if you require more information.